The distance between Cairns and Townsville is not much however, when you are making an move from Cairns to Townsville, this distance is enough to cause damage to your furniture in transit. So, if the distance has tempted you to hire a truck and do the move all by yourself, let better judgment prevail. Do the right thing and hire a professional interstate moving company. Roadways Furniture Removals is the leading interstate removals company in Australia. We have been in the removals business for a long time and have served hundreds of clients across the country. You can rest easy because with us, your belongings are in good hands because we specialise in Cairns to Townsville Removalists. Email us or request a quote today! We promise not to disappoint you with our services. 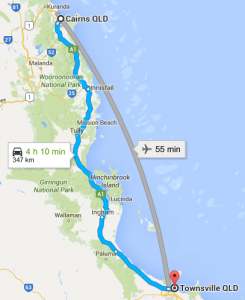 Best Cairns to Townsville Removalists. Hundreds of customers have trusted us for our moving services, while many of them have even referred us to their family, friends and colleagues. Leave it to Roadways, because we deliver, always!